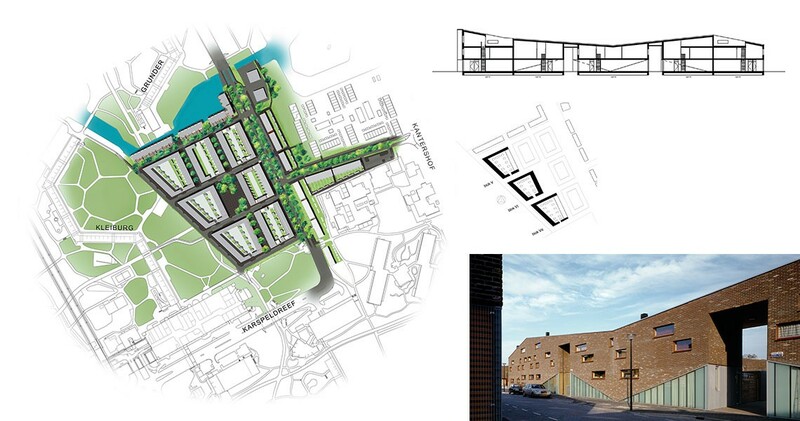 The urban plan is part of the rede­vel­op­ment of the postwar area of the south-­east of Amsterdam. 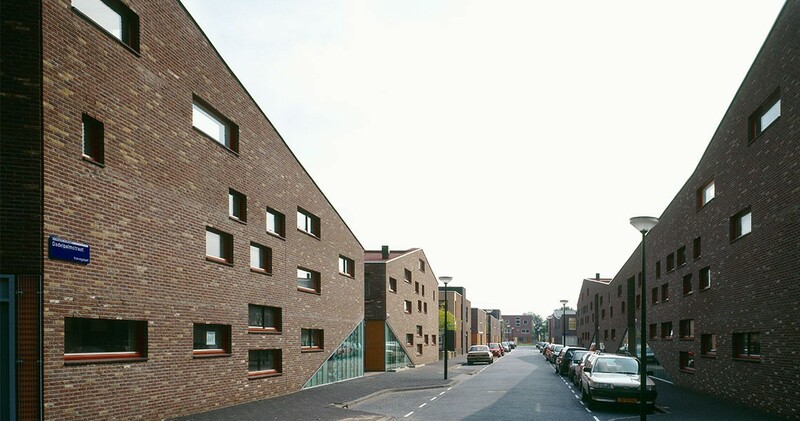 The three build­ing blocks con­sist of two rows of hous­ing, with gate­houses at the head. Through these moves, an enclosed, semi–pri­vate court­yard is formed. 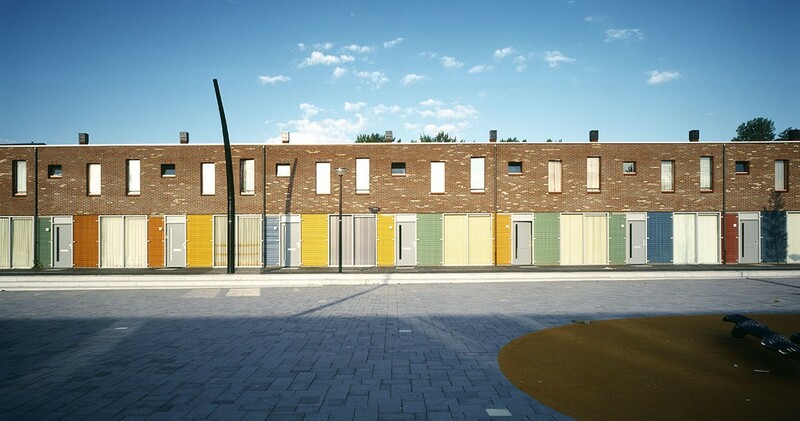 Each home is acces­si­ble from the ground floor with an entrance related to the street. Each home has a back­yard, except for the gate­houses, which have rooftop ter­races. To ensure a secure social con­nec­tion with the neigh­bor­hood, the liv­ing spaces are located on the ground floor with large win­dows. The rows of houses are dif­fer­en­ti­ated through var­ied color schemes, with indus­trial screens as a veil.